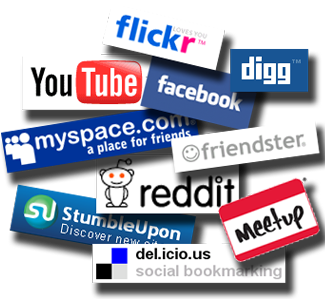 Social Media Optimization or SMO is about to establish a strong presence on popular social media sites. It is not simply to drive traffic directly to your own website, but will also improve your search engine rankings that lead to greater indirect circulation. The key is that when you have an enhanced presence on Facebook, Twitter and many other social networks, the more people will be able to find you. Social media sites can be searched. As people use search engines like Google to find information on the Internet, they also use social media pages to find people and information. And every day more and more people are seeking in this way. This is the trend in the future. And social media is becoming the top using the latest mobile equipment of high technology. If your practice is not a relevant presence in social media networks, you miss the opportunity to reach potential new patients. Shorten the URL is used, particularly on social media sites to share web pages and links. People spend hours in front of Facebook, Twitter, etc., so the URL Shortener services are increasing day by day. Most people have this problem if these short URLs SEO friendly or not. Building relationships with Facebook can bring traffic to your site, increase your blog readers, supporters and subscribers throughout to improve your SEO because of added links and value. 1. Create your FanPage on Facebook and invite your friends to join. Posts specials, discounts, coupons, news on your site and suggestions to your niche. 2. 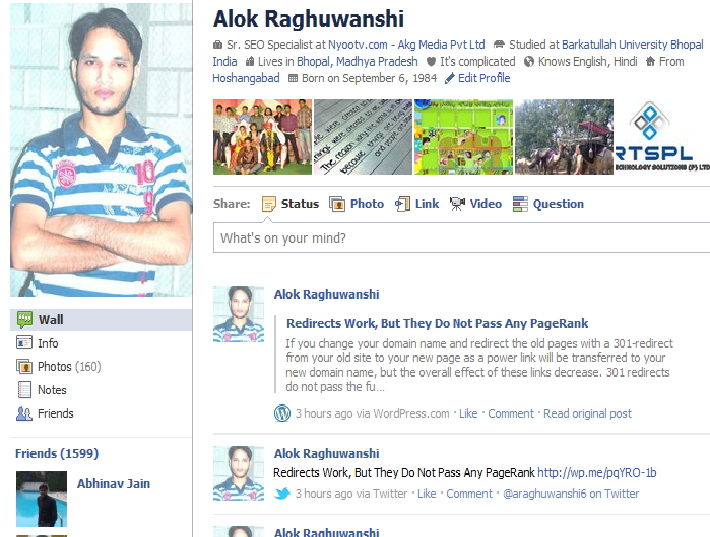 Added your feed blog, Facebook page, so blog automatically added to their site on Facebook. This can greatly increase the number of followers and blog readers, especially if you send in interesting content. 3. Post your articles on Facebook and invite your friends to link to it for you. Be sure it’s worth the link bait! 4. Add Items teasers on their website as a status update on Facebook and encourage your friends to visit to read the full article. If you like, I hope linking to it. 5. search for friends by name or email. View friends of your friends and invite them to be your friend. In other words, the development of the network. This is one of the fastest ways to build your circle of influence – on Facebook or elsewhere. Building relationships with Facebook is not as easy as some other techniques you can use, because Facebook is really a social place and most people are looking for interaction and fun. Facebook profile of the search engines like Google, Yahoo, MSN, ASK. Since Facebook is the leading brand among all social networking sites and Alexa Rank #3 with Google PageRank (PR)10. For all major search engines Google for most all the indexed pages of Facebook almost everyone, including profile page and take it to the pages of the first or second. Therefore, everyone can find their friends and family or strangers with ease by the Google search engine by entering their names. But many people do not want to expose your profile in the Google search engine and do not want unsolicited requests friend. You can prevent your Facebook profile, get listed in Google. Here is how you do it with simple step by step procedure. Click on Edit Settings under Public search. See the preview. Unchecked Enable public search under Public search. See the preview. You must click Confirm. Now it will take some time to hide your Facebook profile to search engines. If you change your domain name and redirect the old pages with a 301-redirect from your old site to your new page as a power link will be transferred to your new domain name, but the overall effect of these links decrease. 301 redirects do not pass the full PageRank.